Bunker Ramo antenna switch NEW! sma 6 pole switch -- (with mounting flange) NEW! call for avail. (on hold) . 403-124 Dow key sma spdt used? 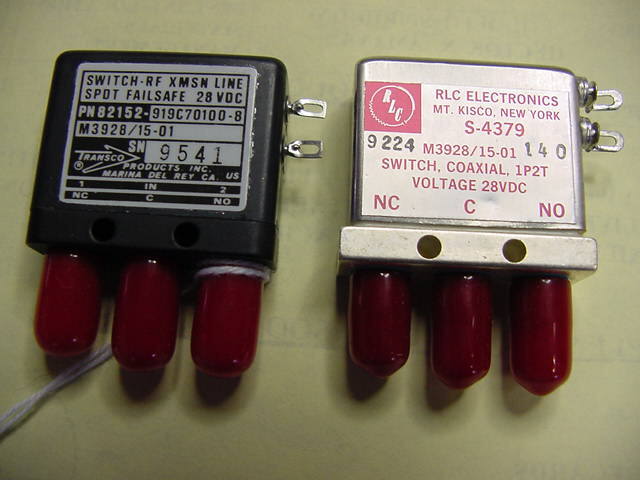 switch, SPDT N f 28v NEW! 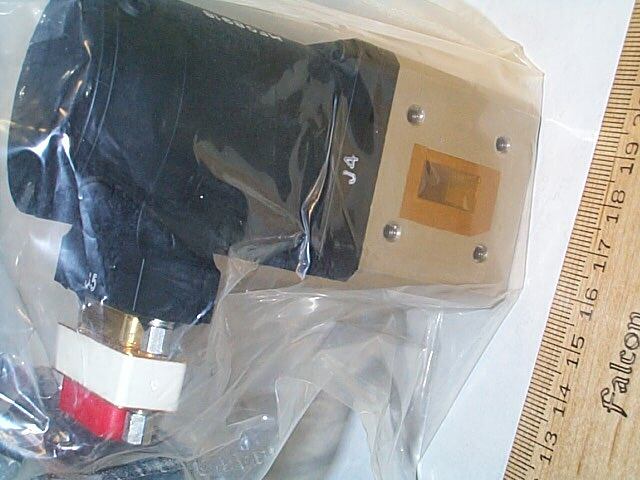 28v SP4T sma rf sw.
HP 33311A (same as 8762A) DC - 4 GHz New Inbox! or HP8762B rf coax. 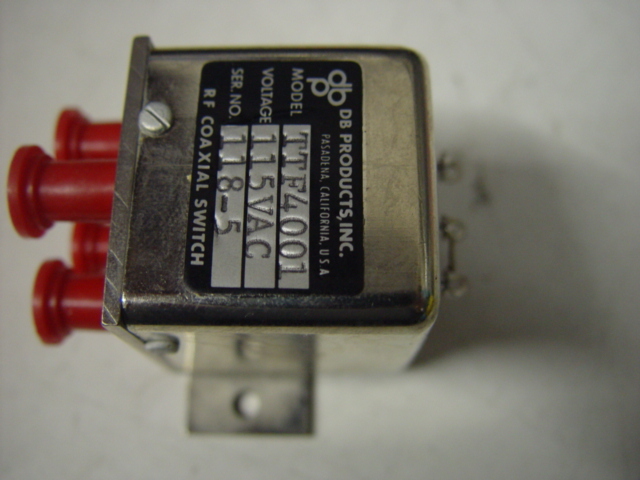 switch 24 volt sma used -image- SPECIAL SALE! compare @ $225 ! rf coax. switch 24 volt SPECIAL SALE! buy ten at $50 each! rf coax. switch 24 volt un-used NEW! 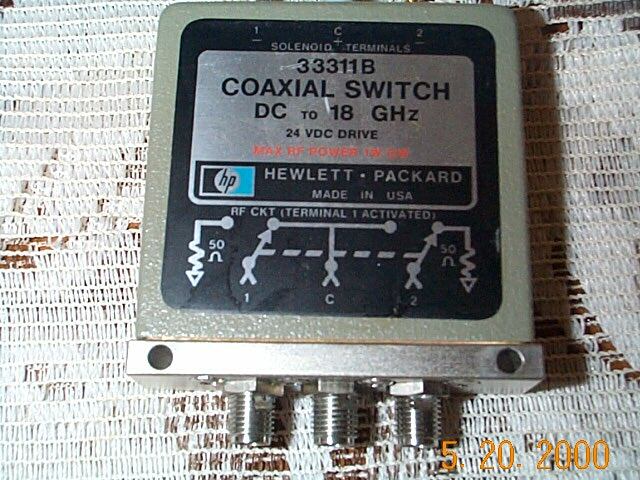 coax call for avail. .
HP 3505 Hewlett-Packard 0.5-12.4 GHz SPST -image- 175 1 in stock . hp 44472A Hewlett-Packard vhf switch 500 1+ . 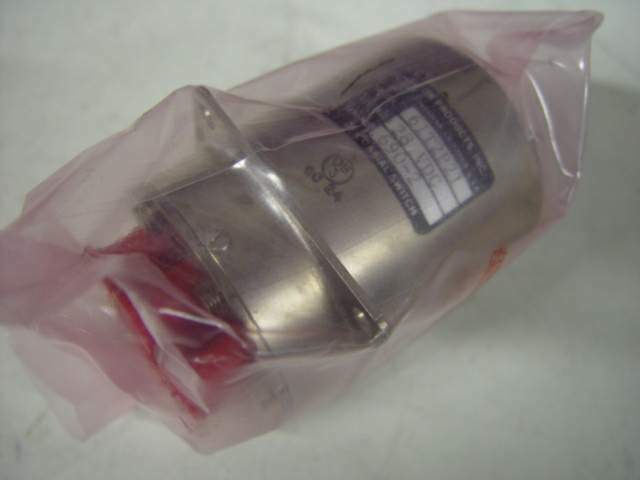 HP 8761A Hewlett-Packard dc-18 GHz 12-15 volt spdt sma 150 1 rfsw . HP 8761A opt. 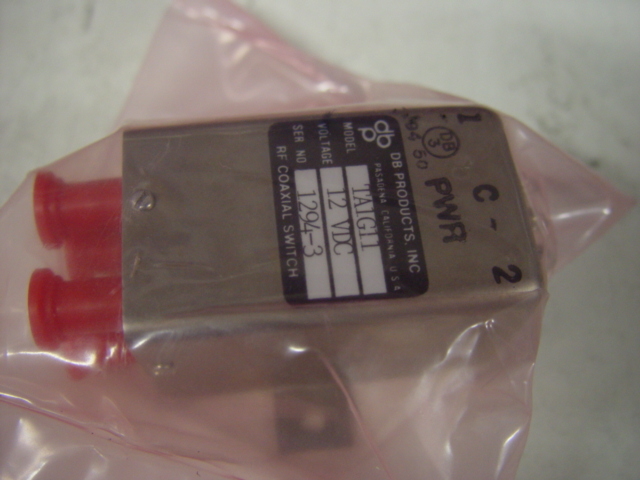 001 Hewlett-Packard dc-18 GHz 12-15 volt spdt N m, N f N f 200 1 rfsw . 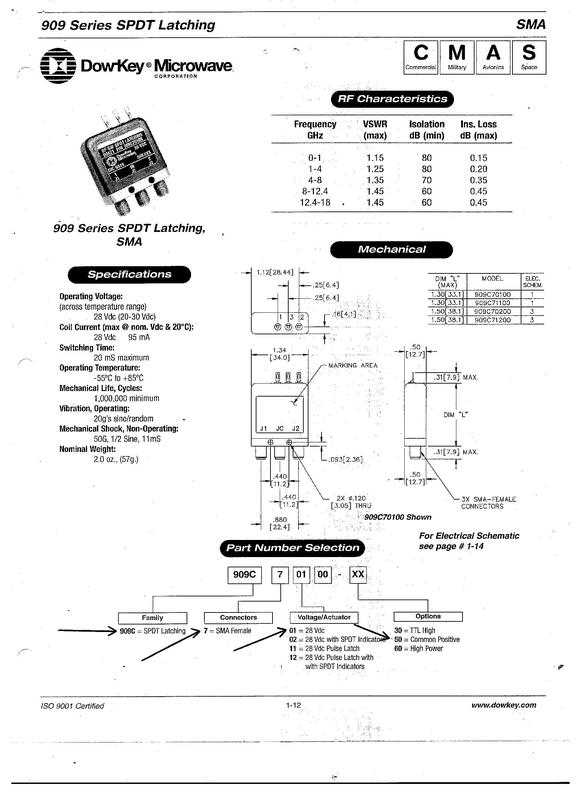 HP 8761A opt 002 Hewlett-Packard dc-18 GHz SPDT 12-15 volt spdt APC-7/N/N 150 1 rfsw . 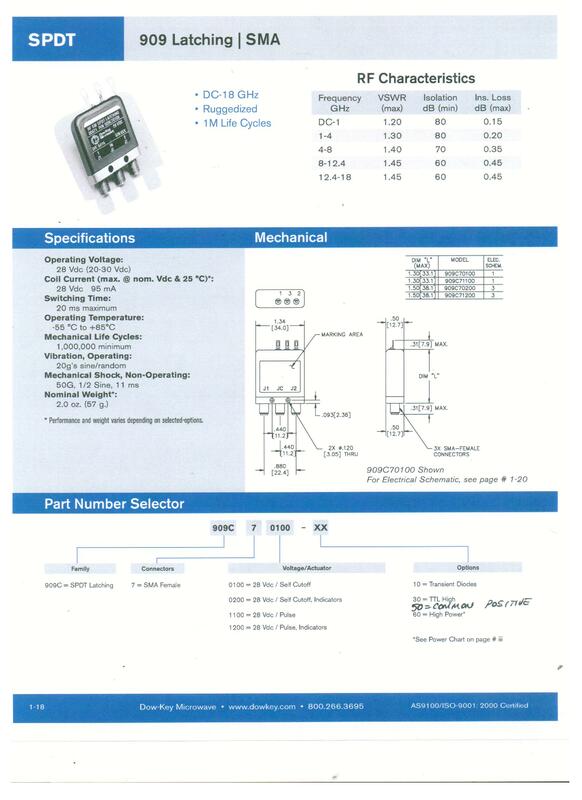 HP 8761A opt. 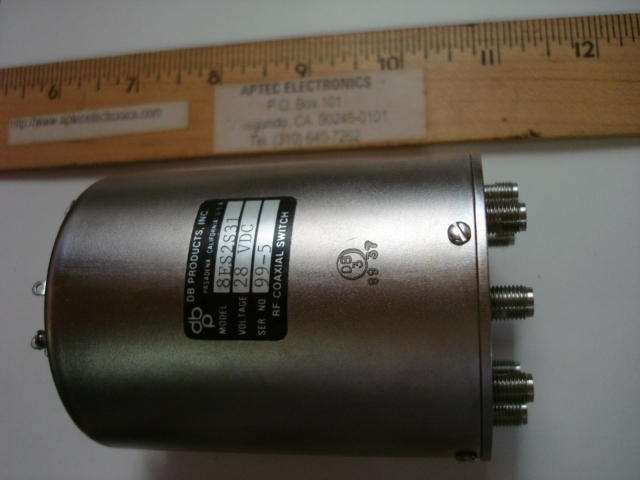 063 Hewlett-Packard dc-18 GHz 12-15 volt spdt N m, sma m, APC-7 250 1 rfsw . HP 8761A opt. 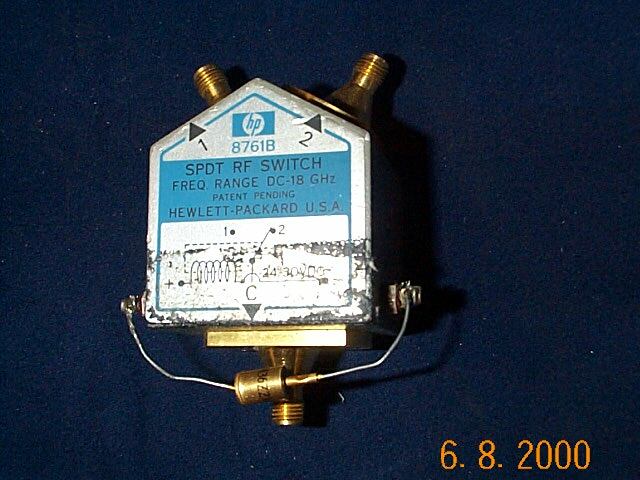 066 Hewlett-Packard dc-18 GHz 12-15 volt spdt N m, sma m, sma m 200 1 rfsw . 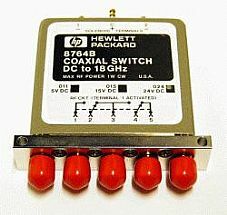 HP 8761A opt 115 Hewlett-Packard dc-18 GHz spdt sma call 1 hprfsw . HP 8761A opt. 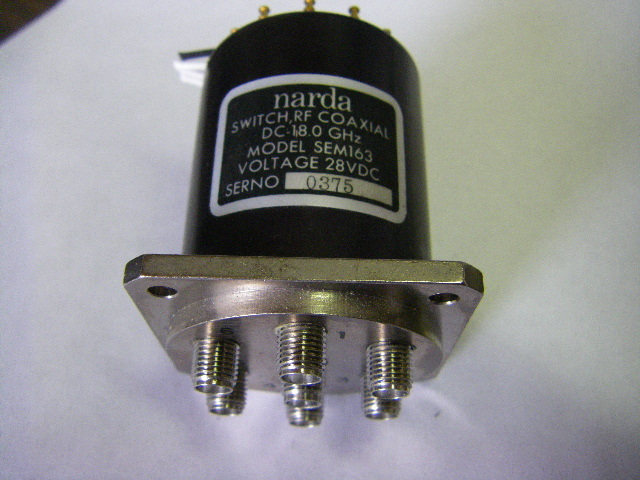 556 Hewlett-Packard dc-18 GHz 12-15 volt spdt sma 150 1 rfsw . 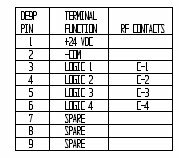 HP 8761A opt. 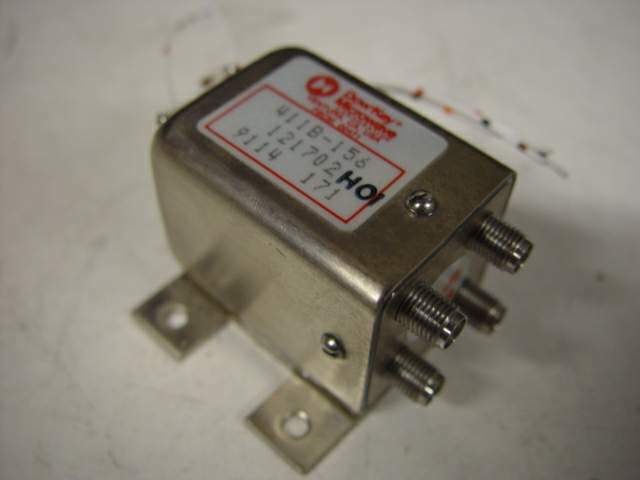 606 Hewlett-Packard dc-18 GHz 12-15 volt spdt sma m, sma m, Nf 200 1 rfsw . HP 8761A opt. 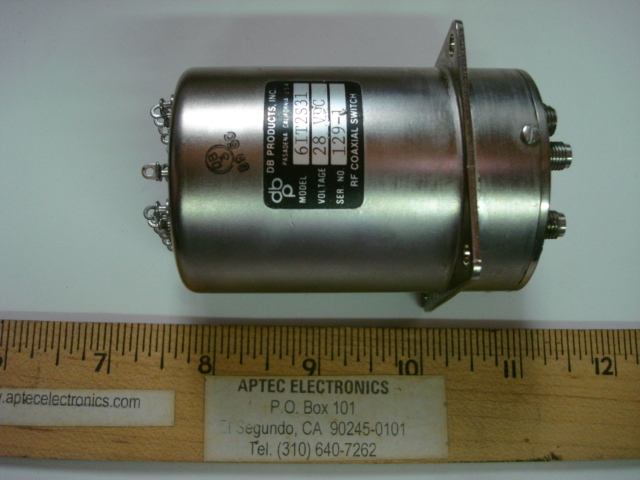 663 Hewlett-Packard dc-18 GHz 12-15 volt spdt sma m, sma m,APC-7 250 1 rfsw . HP 8769K opt 002, 024, 060 Hewlett-Packard dc- 26.5 GHz SP6T sma f 24v CALL sw 27K11G . HP 8769K opt 008, 016 Hewlett-Packard dc- 26.5 GHz SP6T sma f 24v header 550 AA3 83202A . 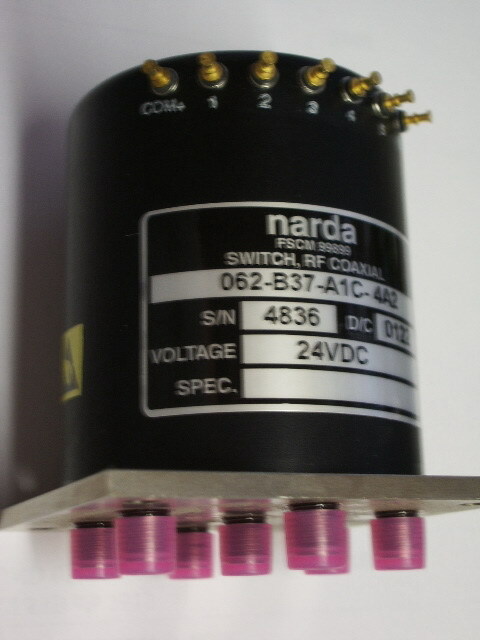 rf switch 24v type N spdt NOS! 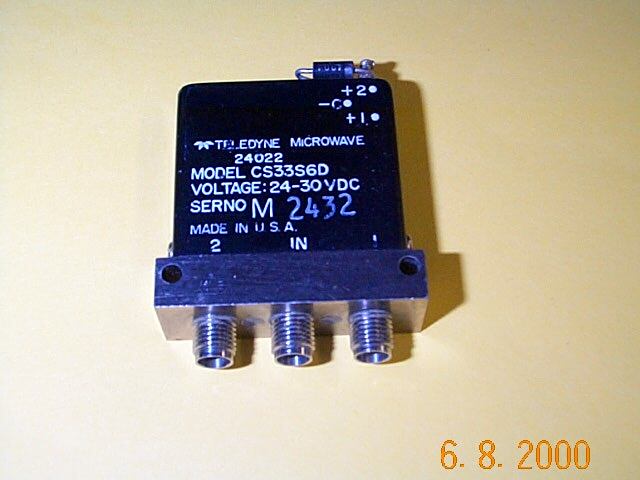 24 vdc sma SP4T DC-3 GHz SPECIAL SALE! compare @ $220 ! call 2 in stock . call 1 in stock . 525 0 SOLD OUT . 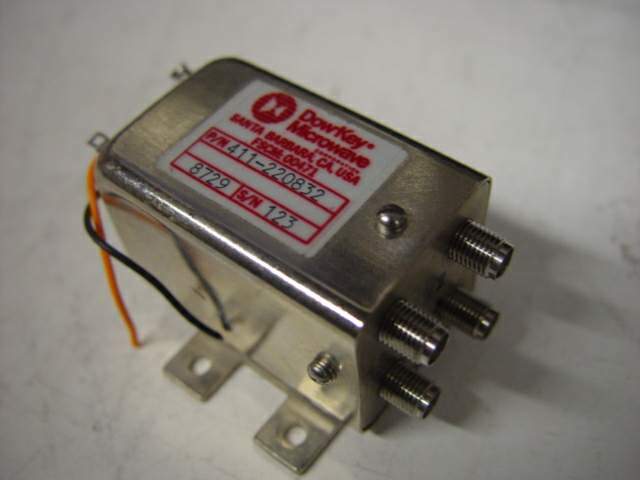 sma toggle DC-5GHz chassis mnt. 1- 6 of 6 sma picture new! 1- 4 sma picture new! 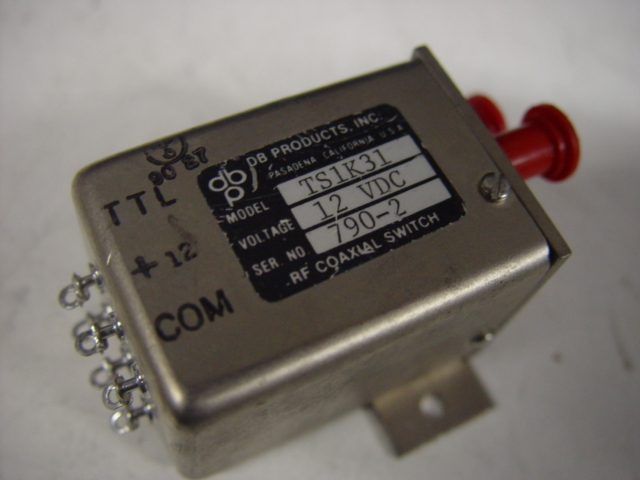 143C71300 SP3T RF switch NEW!